• If you are re joining and your details are on our data base from the previous year you need not send a new application form unless your details have changed. • you can transfer the membership subscription of €45 to Aonach ar Siul BANK ACCOUNT. Note: on the bank transfer you must put your name and phone number for identification. The membership includes Insurance with Mountaineering Ireland and the club subscription. • ASSOCIATE MEMBERSHIP SUBSCRIPTION to Aonach ar Siul is €15 per annum. You can state on the application form your Mountaineering Ireland membership number and date of expiry. www.mountaineering.ie . Please note that the Insurance year and our club year is from 1st November to 31st October each year. For your comfort and safety and that of all the members, it is important that you inform yourself of the conditions under which you are joining regarding the correct walking gear, the rules of the club, the insurance requirements and limitations and to know that you are accepting responsibility for your own safety needs and actions at all times. Note: The Club is hoping to have everyone joined by 1st November each year. We now have an online option to facilitate this on www.nenaghwalk.ie There is an offer of a €40 joining fee up to end of November. It is €45 after that. We understand that due to circumstances some people may not be in a position to comply with this time frame. We do not wish to lose you and we will be delighted to have you join or re join later up to 1st March. Please feel free to contact me if there is anything I can do to help you with your membership application. 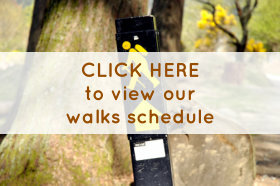 There are many walks and occasions to enjoy in good company and we wish to have you amongst us.